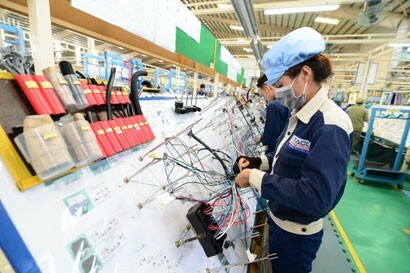 With its effective investment attraction policies, Ninh Thuan province stood 18th in foreign direct investment (FDI) value in the country, the highest position it has ever reached. Mr. Pham Dong, Director of Ninh Thuan Department of Planning and Investment, said the province’s investment attraction has made good progress in recent years as a result of ripple effects of investment promotion conferences in 2011, 2015 and 2016, plus an improved investment environment. 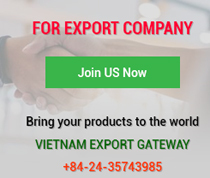 Investment has grown well in Ninh Thuan province in recent years as many large domestic and foreign corporations have arrived in the province. 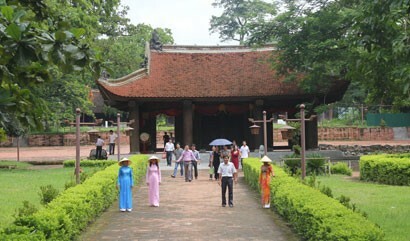 What has made Ninh Thuan so attractive to investors in the past time? Ninh Thuan province is embracing new great opportunities for development, including the Government’s investment policy on some key national projects. In particular, the Prime Minister issued Resolution 115/NQ-CP dated August 31, 2018 on enforcement of some specific mechanisms and policies in support of local socioeconomic development, manufacturing stabilization and livelihood improvement in 2018 - 2023. 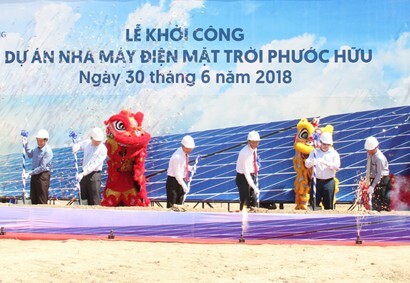 And, among many important policies, Ninh Thuan was directed to be a national energy center and 2,000-MW solar power will be developed by 2020. In addition to further improving the investment environment and reforming administrative procedures, the province has applied the highest incentives in the regulatory framework to investors who will be entitled to the highest incentives of exemption and reduction of land rent, corporate income tax, import tax and invested location. Many domestic and foreign investors have arrived to explore investment opportunities and register many large-scale investment projects to unlock local potential advantages like clean energy, tourism, agricultural production, education and health. Besides, the completion and operation of a 105.8-km long coastal road is of great significance to the province, as it serves as an open door for the province to welcome investors to unlock potential and advantages of coastal areas, especially marine tourism and coastal industry. With its efforts in promoting investment image and attracting investors, Ninh Thuan province and its economic potential and advantages are better known in the country, especially tourism, renewable energy (wind power and solar power) and agriculture, which draw rising interest from many investors. Many investors have registered and committed to invest in Ninh Thuan, with many big projects expected to create breakthrough impacts for the province. Could you please describe solutions that Ninh Thuan province has adopted to help investors carry out their projects on schedule, to generate driving force for local socioeconomic development? Currently, many big investment projects have been approved in principle by the Ninh Thuan Provincial People’s Committee. They are expected to generate impetus for the local economy. They are largely involved in energy (solar and wind power), tourism and real estate. 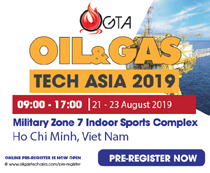 Besides, the province has supported initial procedures for some new motivational projects like Ca Na Port and Bac Ai Integrated Gas -fueled and Hydropower Complex. To put these projects into operation on schedule, right at the time of advising the Provincial People’s Committee to consider granting investment decisions, the Department of Planning and Investment has carefully probed the expertise, experience and financial capacity of investors to ensure that their resources for project implementation are fully prepared and they are resolved to carry out their projects. When investment projects are carried out, in addition to the resolve of investors, support from all tiers of government from the Provincial Party Committee and the Provincial People’s Committee to provincial and local branches are necessary, particularly in ground clearance. Monthly business dialogues and conferences and online meetings with local authorities sought measures to speed up the progress of renewable energy projects and found solutions to hardships faced by other projects. As a result, as for renewable energy projects, 48 wind power towers for a combined 117.6MW have been completed, 22 out of 30 solar power projects are being carried out, and one 36.8-MW project was put into operation. The Provincial People’s Committee directed local authorities to strengthen the oversight and inspection of investment projects, so as to resolutely handle and revoke licenses of slow-moving investment projects to give the land for other investors capable of implementing new projects. 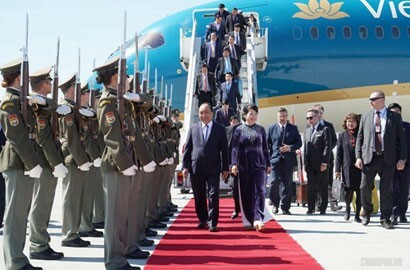 The province has to date licensed 409 projects with a total registered capital of VND132,956 billion (US$5.8 billion), including 233 operational projects, 71 projects under construction, and 105 blueprint projects. The Provincial People’s Committee also granted in-principle approvals to 50 investment projects with a total registered capital of VND45,097 billion (US$2 billion). In 2018, the provincial government licensed 63 projects valued at VND44,221 billion (US$1.93 billion) and approved in principle 28 projects with VND36,030 billion (US$1.56 billion) of registered investment capital, nearly doubling the projects and the value over 2017. Among them, 22 projects with VND38,755 billion invested in solar energy and wind power, accounting for 37% of projects and 90% of capital. 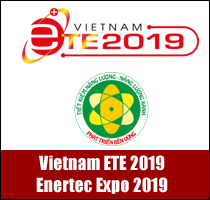 Many quickly implemented and operated projects have contributed significantly to the province’s growth, including BP solar power plant, Saigon -Ninh Thuan brewery, Dam Nai wind power plant, Mui Dinh wind power plant and Nam Nui Chua (Amanoi) Tourist Area. 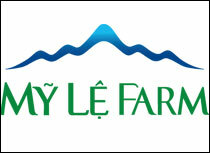 Ninh Thuan province is reportedly rich in development potential. Could you please tell some solutions to increase investment capital into the province in the coming time, amid rising competition for investment flows? In the coming time, the province will carry out consistent solutions to strongly improve the investment environment and attract investment funds to achieve socioeconomic development objectives. 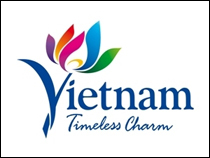 Ninh Thuan will further change investment promotion methods to woo well-reputed, well-branded and highly reliable investors; and directly contact potential investors for specific target sectors. Investment promotion is carried out from the stage of supporting investors like making contact, establishing liaison and pushing forward project ideas to guiding procedures, settling dossiers, obtaining investment decisions and supporting investors to tackle project problems. 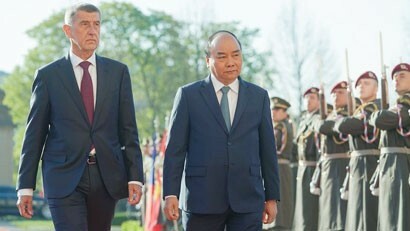 The province will focus on mobilizing capital sources to speed up investment, strongly improve transport infrastructure, especially roads to project locations; quicken the settlement of necessary procedures for commencement and operation of Ca Na deep-water port and forming high connectivity among project locations in the province, between Ninh Thuan province with neighboring provinces, to enhance attractiveness to investors.